New York, Paris, London…Vancouver? 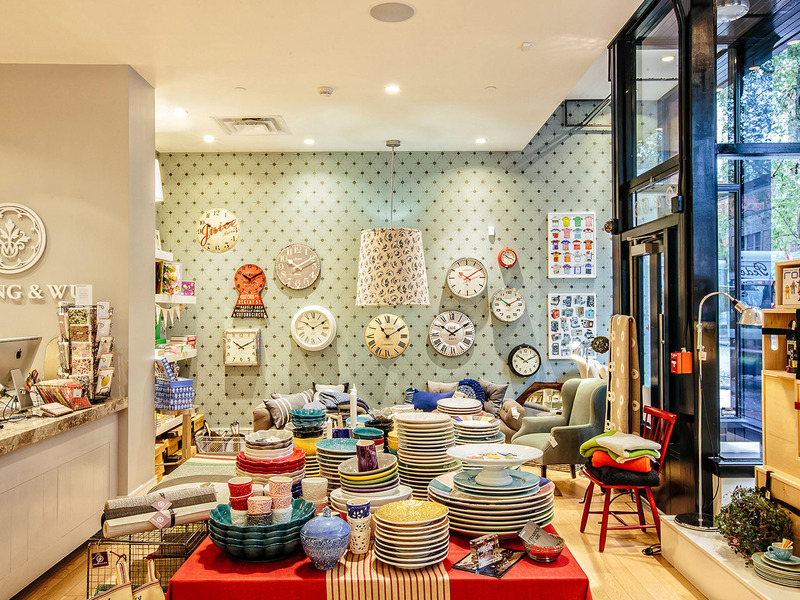 Let’s be honest, this Canadian city doesn’t spring to mind when you think of the world’s best places to go furniture and homewares shopping. But I’m here to reveal the truth – Vancouver is indeed a little slice of homewares heaven, it’s a beautiful place to visit to boot. Even better, it’s possible to get all your shopping covered in one day, as long as you have shopping stamina, comfortable shoes and regular caffeine breaks. The only disappointing thing about my Vancouver shopping tour was the size of my suitcase (I’d already filled it up during a visit to New York in the same trip!). 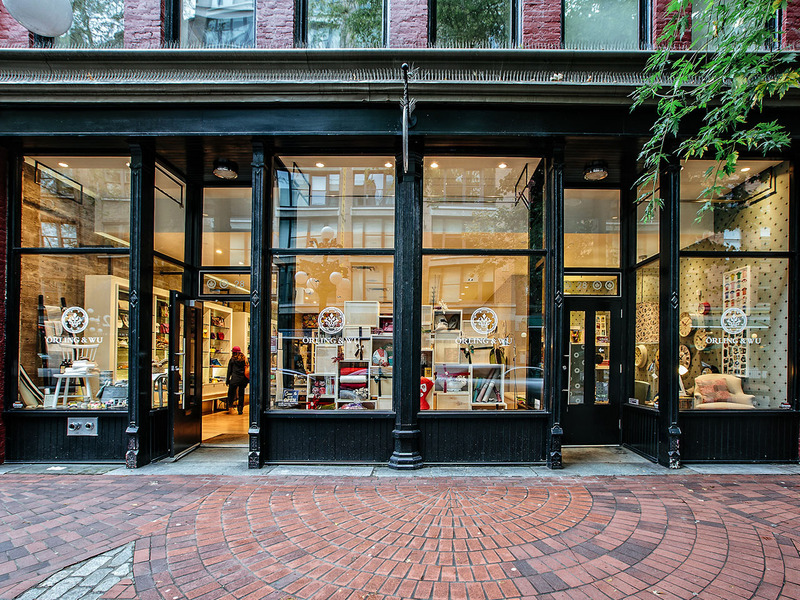 I’d advise starting your shopping trip in the historic heart of Vancouver, Gastown. If you had to compare it to somewhere in Sydney, it’s a bit of a cross between The Rocks and Surry Hills. Gastown dates back to 1867 and is the city’s oldest area. Think independent design, food and fashion, great cafes (essential shopping breaks), bars and cobbled street charm. In 2012, it was named the world’s fourth most stylish suburb. Pretty impressive. It’s also small and easy to walk around. My first and favourite stop was Parliament Interiors (115 Water Street). Come here for colourful, modern classics and friendly service. The shop is beautifully merchandised, laid out in different room sets which are all styled to perfection. There’s lots of colour, with something beautiful and tempting everywhere you look. The prices seem very reasonable for good quality pieces you’d be hard pressed to find everywhere else. It’s on trend without being too faddy. The buyers clearly know what they’re doing and have great taste. And even if there’s no room in your suitcase, you’ll still pick up plenty of inspiration. Inform (50 Water Street) is high end and expensive, there’s no getting around it. This is a super sleek and stylish showroom full of amazing designer furniture and homewares, with a 20-year history. It does feel a little intimidating and a sign suggests you leave your bags at the counter before looking around, but the staff are helpful and friendly if you’re brave (and feeling rich) enough to approach them! At the end of the day, not every shop is obliged to sell affordable homewares and if you’re after that special designer investment piece, this would be a great place to visit. L’Atelier Home (452 West Cordova Street) is a cute, feminine little shop with a vintage vibe. There’s a mix of old, new and upcycled here as well as candles, art prints and more. The welcome is very friendly. If you’re looking for that perfect vintage piece for your home, they’re happy to help you track it down. Or they can upcycle your secondhand-find or family heirloom for you, transforming it with a stylish new lease on life. 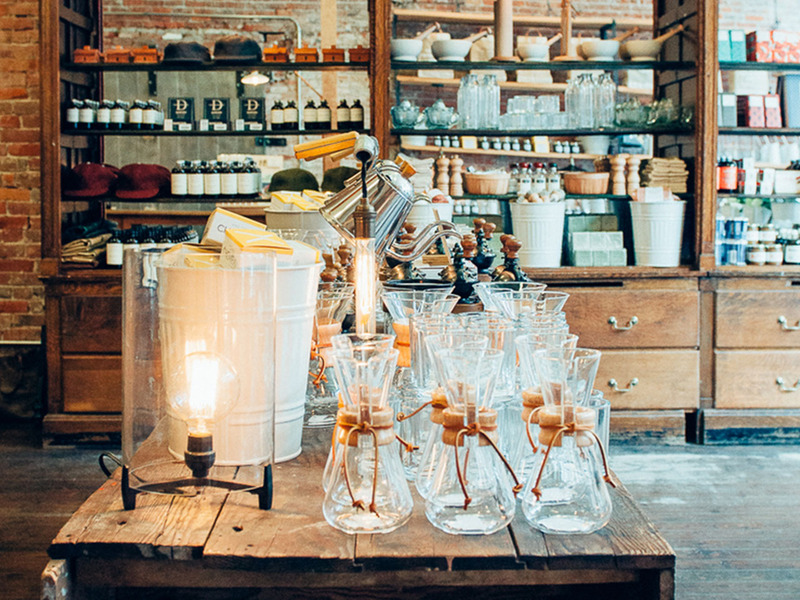 Old Faithful Shop (320 West Cordova Street) is a charming store with a great backstory and even better products. Even my husband loved it, and he’s not big on being dragged around shops (he did know what he was in for when he married me!). They stock “good quality goods for simple, everyday living” and believe “the best products become better known as our old faithful ones: trusty, well-built heirloom pieces that are classic in design and only enhanced by the passage of time.” Seriously cool but at the same time totally old fashioned, this shop is inspired by co-founder Walter Manning’s grandparents’ stores. Head here for anything from recipe books and ceramics to high quality ingredients, toiletries, kitchenware, blankets and more! Orling & Wu (28 Water Street) is a really interesting shop and a great place for gifts. They also sell beautiful textiles off the roll, decorative homewares and accessories, wallpaper, ceramics and all sorts of other lovely things. Founded by Fredrik Örling and Julie Wu in 2009, they also offer design, styling and upholstery services. This is a really nice shop to browse. 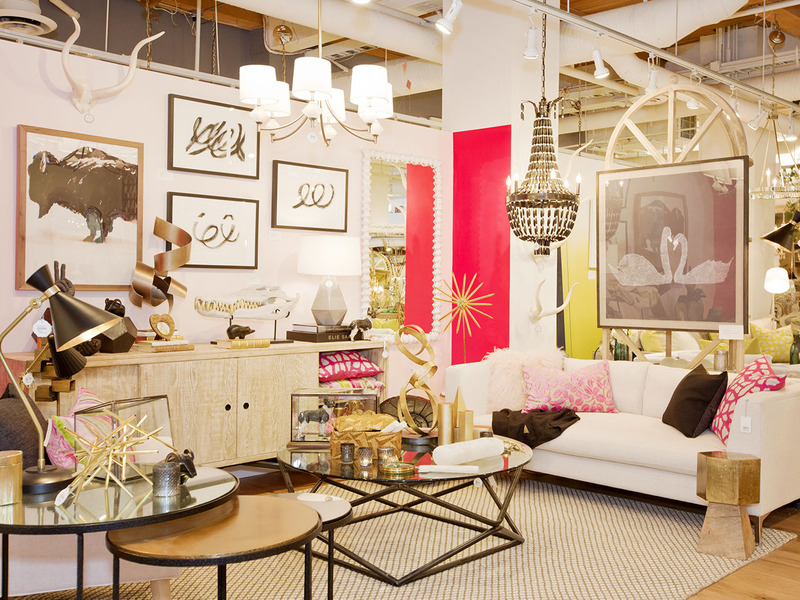 Moving away from Gastown and on to hip Yaletown, I found my mecca: The Cross Decor & Design (1198 Homer Street). I was already more than impressed by Vancouver’s homewares scene but this was the best yet. It’s a really big, Aladdin’s Cave of a store, beautifully styled and full of colourful, eclectic finds. Everything was beautiful. I really did want to buy all of it! The boutique opened in 2003 by the equally stylish co-owners Darci Ilich and Stephanie Vogler and has become known internationally for its aesthetic – “at once refined and relaxed, more playful than perfectly polished.” Just go here! You won’t regret it. Also well worth checking out in Vancouver, although sadly I didn’t have time to visit, is Peridot (1512 West 14th Avenue), in South Granville and Paper Ya, an amazing stationery store I visited at Granville Island Markets (plenty of cute things here to add to a vignette at home too!). As for chain stores, head to West Elm (2947 Granville Street), West Elm Market (2915 Granville Street) and of course, Anthropologie (2912 Granville Street). So, you see? There’s so much shopping fun to be had in Vancouver! We stayed at Loden Hotel in Coal Harbour, a boutique downtown hotel just a five-minute walk from the water. It’s a pretty compact city and we walked almost everywhere. Our room was spacious and stylish with an open plan bathroom and bedroom which could be divided with a large sliding timber screen. The bathroom was a standout with its separate, deep tub and shower and winning looks, even if the shower did leak water across the floor and you couldn’t avoid splashing more water everywhere because of the sink design. But aesthetically speaking, it’s fabulous! Our bedroom had large floor to ceiling windows and although the view of office blocks is nothing to shout about, it meant a lot of natural light. The staff were super efficient and friendly and the hotel offers free bike hire. The bed was large and very comfortable and the furnishings luxurious. The free WiFi was reliable. The only real let down was no tea or coffee making facilities in the room. Jen Bishop is the full-time blogger behind Australia's leading interiors blog, Interiors Addict. A journalist since she left high school, she is originally from the UK but made Sydney home six years ago. This year, the newlywed is working on the road for 6 months as she explores the UK, Europe and America with her husband. 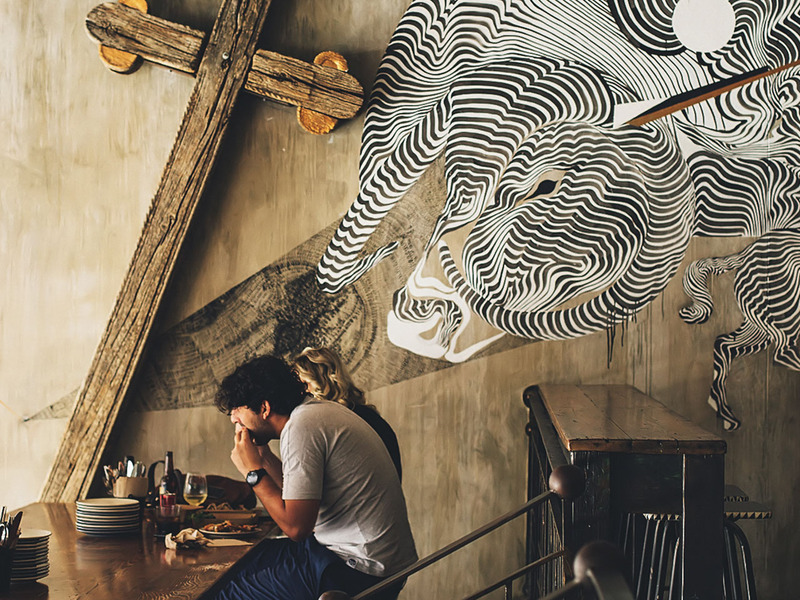 She loves travel and discovering hotels around the globe with beautiful, cool, design-focused or unique interiors.